Task: to design a helicopter cockpit. 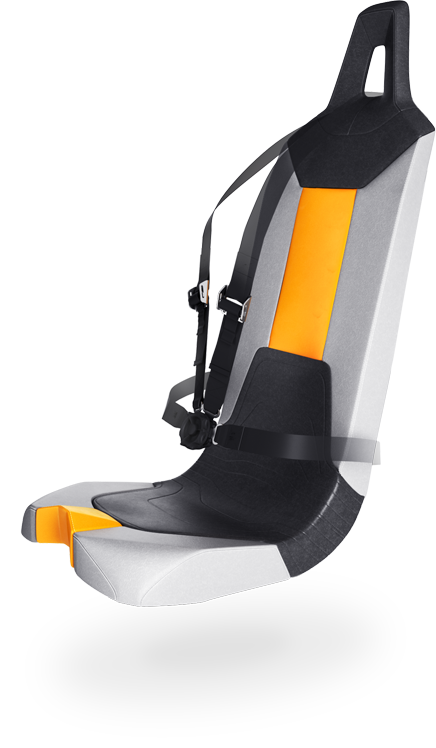 Scout helicopter is designed to comfortably seat three passengers. The interior comes in one of the two options: civilian (with the pilot seat on the left and two passenger seats on the right) and training (with two sets of controls for two pilots). 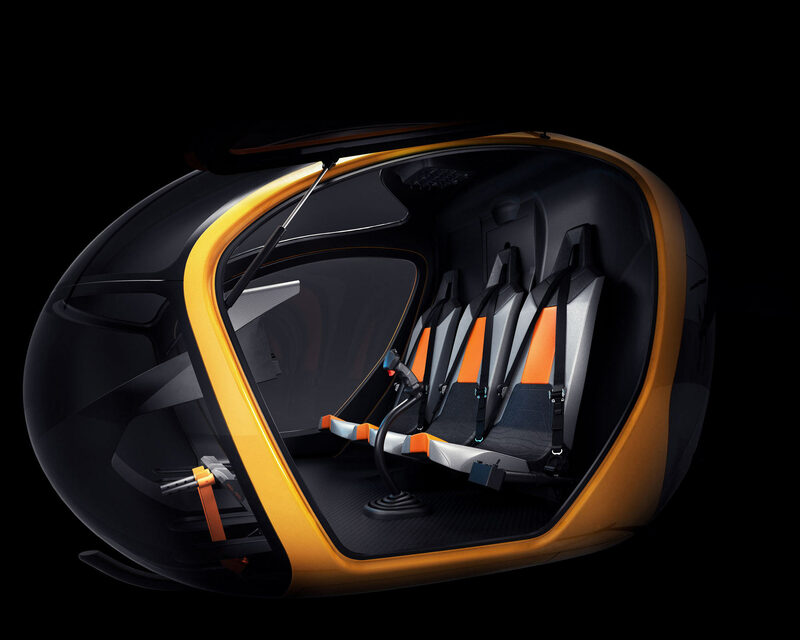 Seats, cyclic stick, dashboard were created at the studio as well as color schemes for interior and exterior of the helicopter. 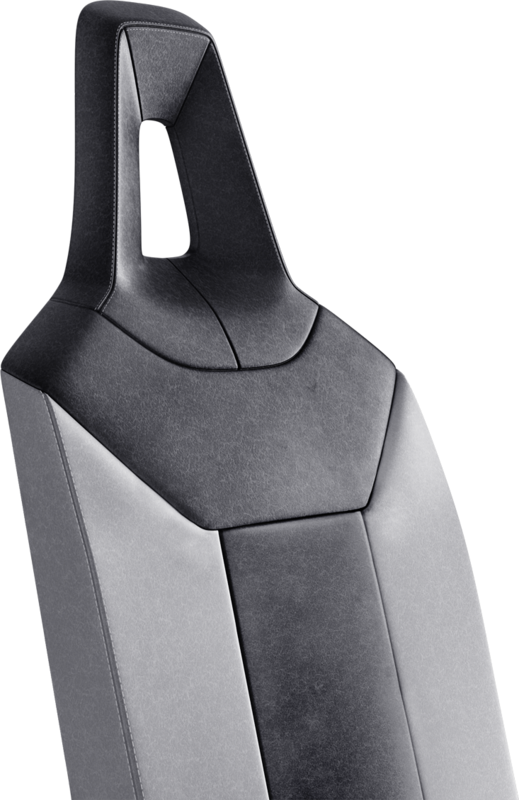 Scout’s cyclic stick was created from scratch, its shape echoing the lines of the dashboard. 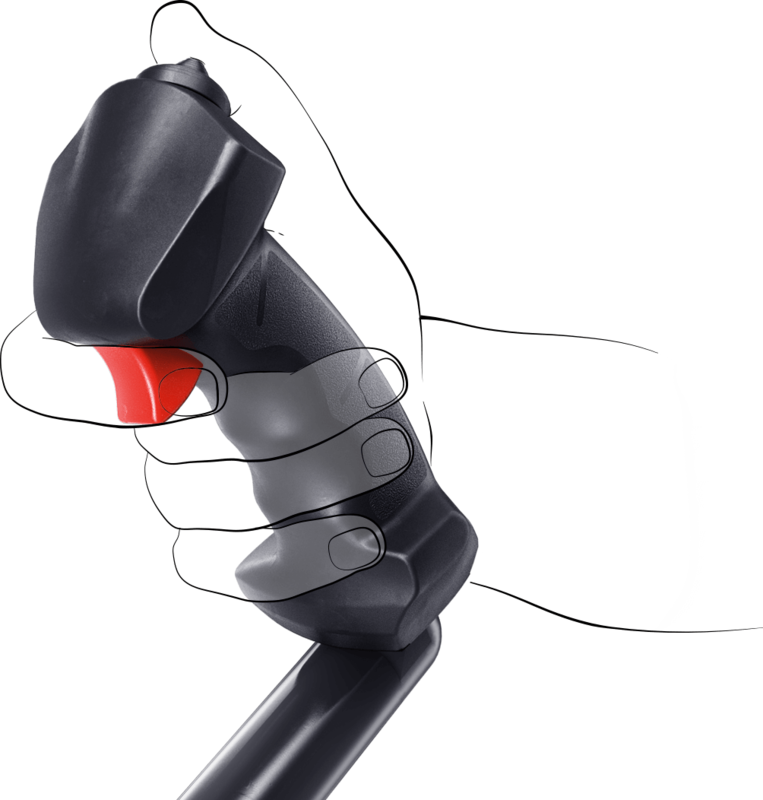 The traditional ergonomics well known to professional helicopter pilots has been preserved, however the number of buttons on the stick was optimized to make it easier to use by amateur pilots. Comfortable seats based on a solid bucket design are made of a light and durable composite material. Seats are anchored to rails and equipped with four-point safety harnesses. During emergency landings the seat frame breaks off the anchors absorbing shock and reducing stress on pilot’s and passengers’ bodies. Soft fabric and synthetic suede upholstery is durable, fire resistant, can be easily cleaned and repaired. The floor is covered with specialized transport linoleum which has high wear and fire resistance, does not slip, can be easily washed and is not affected by aggressive chemicals (technical oils and fuels). 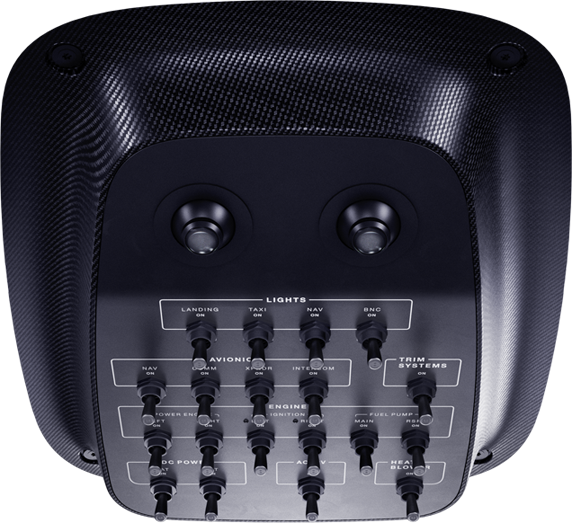 It also provides additional sound insulation. The compact instrument panel does not obstruct view and is resistant to vibration during flight. The protective visor prevents solar glare and improves visibility of indicators. 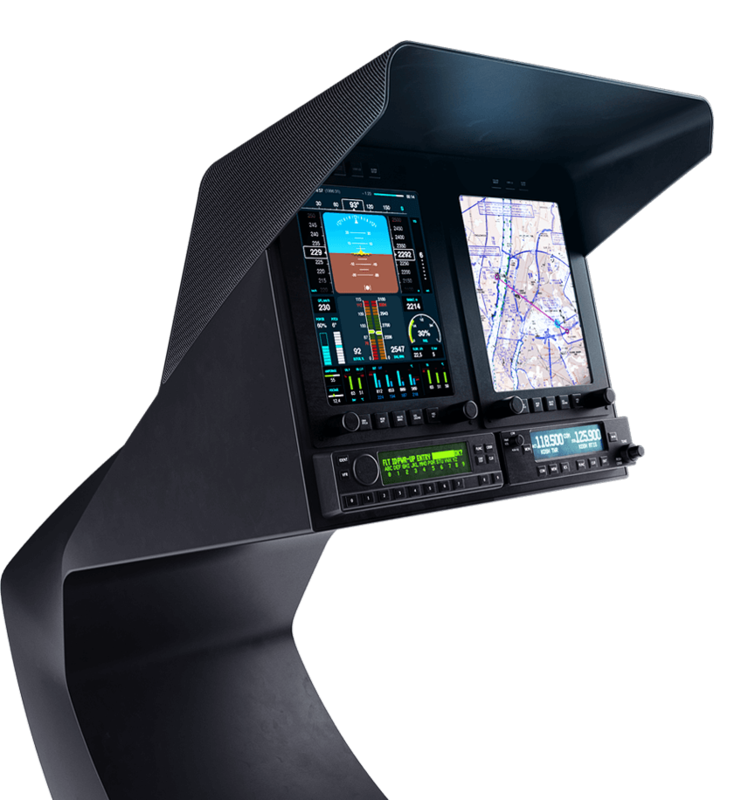 The overhead console and the instrument panel are easily reachable by both pilots.